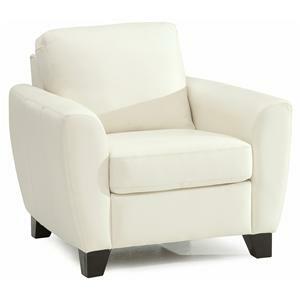 Complete your living room, family room or den seating with this quaint arm chair. Sleek track arms slope down from the straight back frame for a contemporary flare to this casual design. 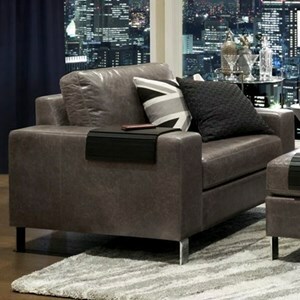 The comfy cushions make for a relaxing spot to breeze through the newspaper or catch up on your favorite television show. 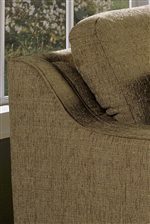 Available in mulitple colors and fabrics to accommodate so you can find the perfect match for your space. 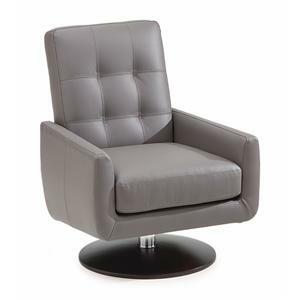 The Corissa Contemporary Chair with Track Arms by Palliser at Mueller Furniture in the Lake St. Louis, Wentzville, O'Fallon, MO, St.Charles, St.Louis Area, MO Furniture Store and Belleville, Shiloh, O'Fallon,IL area. Product availability may vary. Contact us for the most current availability on this product. Frame Construction Hardwood frame pinned, glued, corner blocked and stapled. 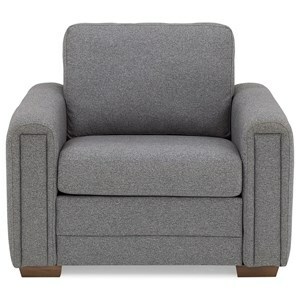 Bring simple style into your home with the upholstery seating options from Corissa. 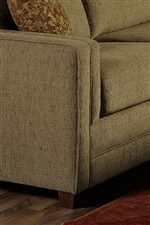 Offering a stationary sofa, chair or sectional seating; the Corissa collection boasts crisp tailored bases, clean lines and straight track arms. 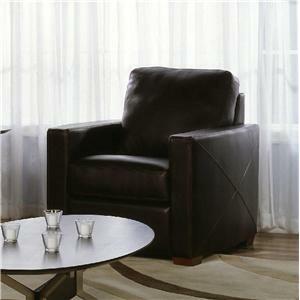 Contemporary in it's look and comfortable in it feel with plush seat and back cushions. 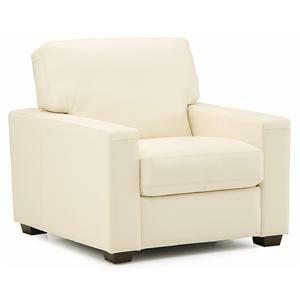 Customize the look of your Corissa piece by choosing from hundreds of leather and fabric options, and even selecting the finish color of the exposed leg. 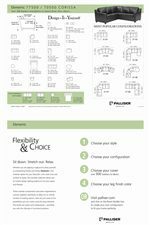 Additional sectional pieces are available for alternative configurations to fit with your space. 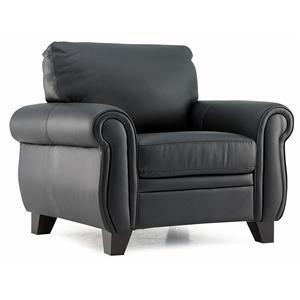 The Corissa collection is a great option if you are looking for Contemporary furniture in the Lake St. Louis, Wentzville, O'Fallon, MO, St.Charles, St.Louis Area, MO Furniture Store and Belleville, Shiloh, O'Fallon,IL area. 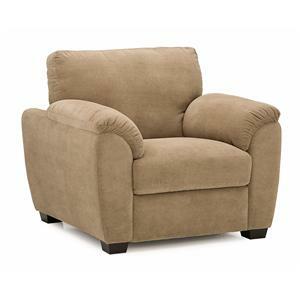 Browse other items in the Corissa collection from Mueller Furniture in the Lake St. Louis, Wentzville, O'Fallon, MO, St.Charles, St.Louis Area, MO Furniture Store and Belleville, Shiloh, O'Fallon,IL area.